Baking is great fun and it is not difficult to get started. Freshly baked croissants or pastries smell delicious in the morning, not to mention that they can taste great too. However, these mini cinnamon swirl biscuits help you to control a more modest portion size, yet they are still packed with lots of flavor. These are especially nice to bake on a weekend in the morning when you have some spare time. The cinnamon smell will fill your kitchen and home with a lovely, rich aroma too. These biscuits are also known as cinnamon twirls, cinnamon rolls or even cinnamon cookies, but whatever you wish to call them, they are certainly delicious! Although you will want to be in charge of rolling up these biscuits with the aid of some baking parchment, this recipe is also great to get children involved in making. This is especially true for when it comes to sprinkling the sugar and cinnamon on the dough! So without further ado, let us look at how you could be sampling these delicious mini treats in next to no time at all. In a medium sized mixing bowl, add the butter, caster sugar, vanilla extract, egg yolks and icing sugar together. Stir with a wooden spoon to combine them. 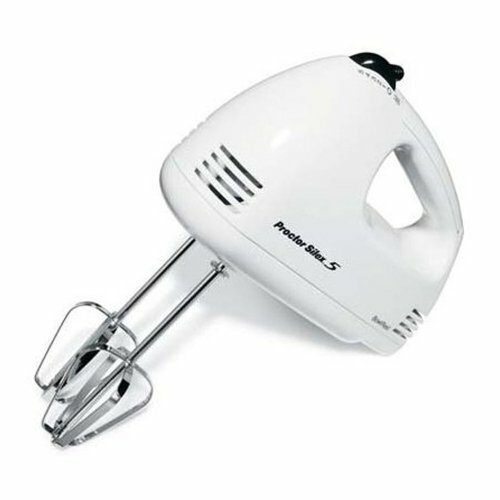 Alternatively, you could use a hand held electric whisk to save time if you have one available. The mixture should come together and be smooth in texture and consistency. Next, add the flour gradually and fold it in with a wooden spoon. Use a sieve to give the flour a finer consistency too. Cut out two pieces of baking parchment which are equal in size to your baking trays. Place the dough in the middle of one of the sheets and place the other sheet of baking parchment on the top. Use a rolling pin over the surface to help flatten out the dough. Using this technique with the rolling pin on top of the baking paper means that you do not need any extra flour to stop the mixture sticking. In addition to this, it is much cleaner to work with. Using baking sheets in this way will also really help when it comes to progressing on to step number four too as you will see shortly. Now this is the really fun part of baking these tasty cinnamon treats, and a great point at which to get your children involved in the baking process too! Firstly, remove the top sheet of baking paper from the dough. Now combine your two tablespoons of granulated sugar together in a small cup with the two teaspoons of cinnamon. I like to use a small sieve to distribute both more evenly. Some of the sugar will probably not fit through the sieve, but this is not a problem. It will turn a lovely golden brown color too. Once you have sifted it all through, then simply sprinkle the sugar over the dough to help give it a crunchy texture. Once you are happy with how the dough looks, start to carefully and slowly roll the dough up. Use the baking parchment to slowly lift it if you need to. You have now made your complete cinnamon roll, well done! Place it in the fridge to chill for at least one hour. Preferably, and if you have time, leaving it to chill overnight will only enhance the end result. Now that your cinnamon roll is nicely chilled, you will need to take it out of the fridge and remove the baking paper. Next, score along the roll with a knife to help you judge the portion sizes that you would like your cinnamon rolls to be. On the other hand, you could simply cut them and ahead and guessing the size somewhat. Uneven shaped biscuits will add to the individuality of your cinnamon swirls, lending to a more homemade or rustic touch. Place your mini cinnamon roll biscuits on the two baking trays. Spread them out evenly because they will expand slightly in the oven when cooking. Sprinkle a tiny bit more of the granulated sugar on the on top of the biscuits. This will act to provide a nice crunch to the texture too. Now you can preheat your oven to 200C/Gas Mark 6, and bake the mini cinnamon swirl biscuits for approximately twenty-five minutes. Do check on them more as the time goes up because you want them to turn a nice golden color and go slightly firm, but not to become too dark and burn. Allow the biscuits to cool down slightly (as you do not want burn your fingers off!). Once they reach room temperature, you could serve them immediately either on their own or with some seasonal berries such as blueberries or strawberries. A hot cup of tea or a frothy cappuccino also goes down a real treat with these sweet little biscuits. Remember that if you like a stronger cinnamon flavor and taste, that you could experiment and add up to another two teaspoons of cinnamon to the recipe above. Alternatively, if you only want a little bit of the cinnamon flavor, then use just half a teaspoon and go from there. These cinnamon swirls are simply great for sharing with family and friends, and because they are smaller in size, you can better judge your potion size and they can go a lot further too. Freeze some of the biscuits once they have cooled if you want to use them at another later date, or to save some for a special occasion. I really hope that you like this cinnamon biscuit recipe and that you enjoy the great taste of these mini cinnamon swirls!